Take a pressure cooker and heat oil in it. 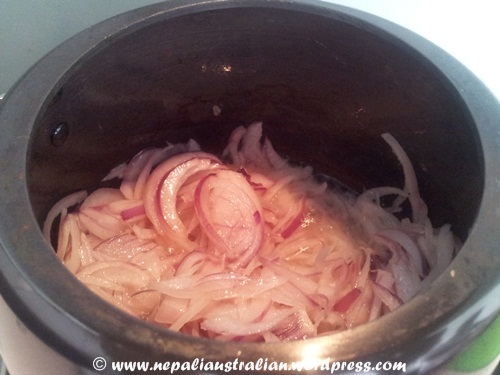 When the oil is hot add curry leaves and the finely sliced onions. Add a pinch of salt so that the onion will get cooked quickly and becomes golden brown. 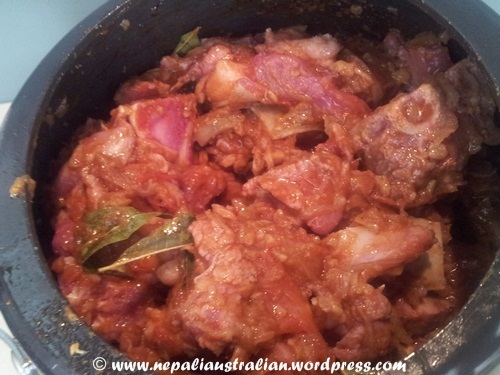 Add Ginger Garlic paste, garam masala, coriander powder, turmeric powder, salt, chili and let it cook for 2 mins. Add finely diced tomatoes and let it cook completely, with the onion. 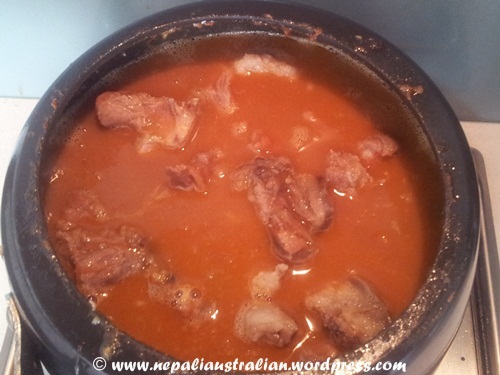 Add the goat meat to this mixture. Let it cook for 10 min . Let the pressure in the cooker dissipate by itself; do not force the steam out by lifting the whistle etc. 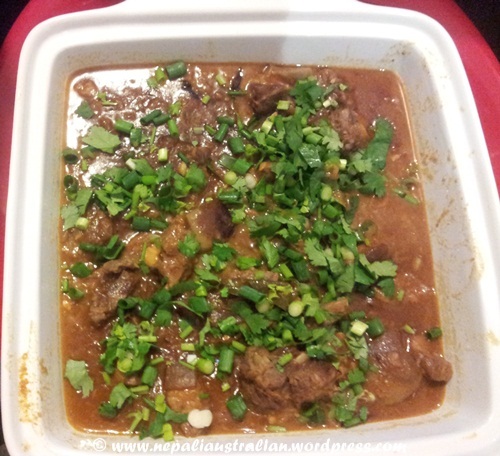 Garnish the goat curry with fresh coriander and it’s ready to server! 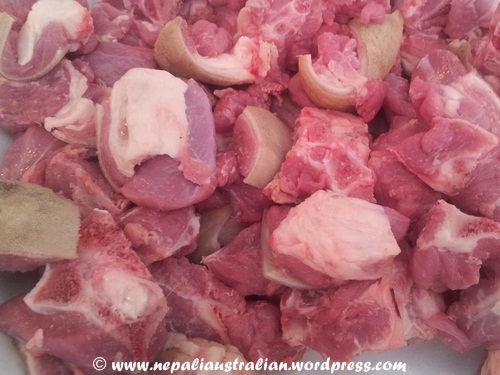 This entry was posted in Nepali food, Recipe and tagged cooker lid, food, goat cyrry, goat meat, nepali goat meat. Bookmark the permalink. curry leaves? I don’t think we have that in the US… also gram masala… My sister os obssesing now on Indian food, hahah… she’s always cooking Indian food now. 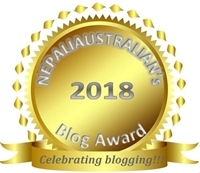 Don’t you have Asian/Indian grocery story there? I am sure they will sell them.